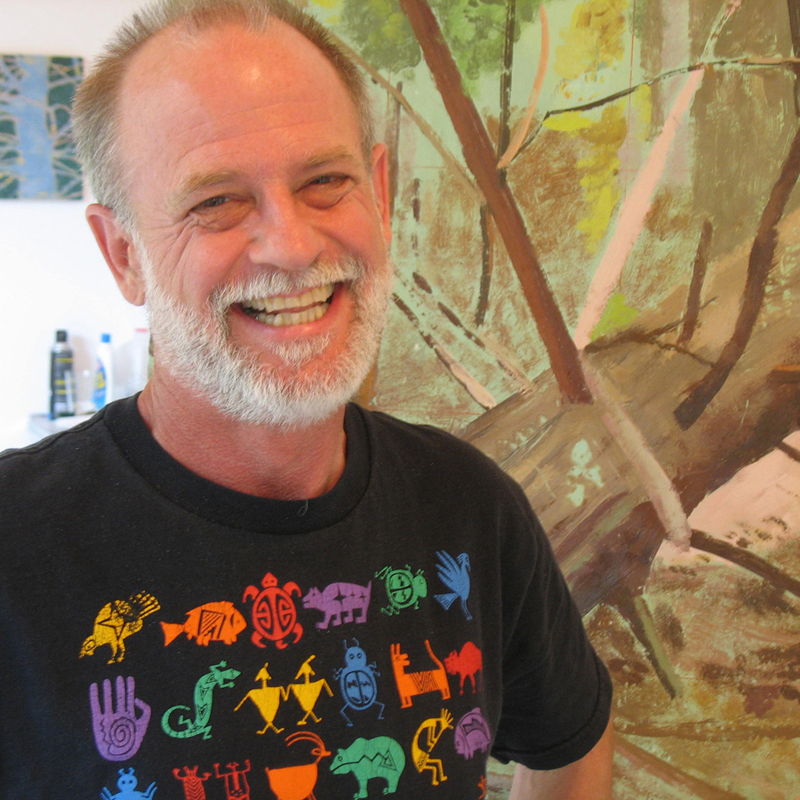 Mark Livatelli is a painter and print maker who uses an encausting technique when painting and printing. Encaustic painting is an ancient technique that uses beeswax mixed with pigment and melts layers together compared to linseed oil, which dries to harden. The surface of the beeswax is not as tough as an oil film, but it retains the colors a lot longer than a linseed oil binder. In Lavatelli’s recent work, he juxtaposes colored shapes and words with close-up views of trees to suggest that our experiences with nature are interceded by preconceived perceptual and mental notions. Lavatelli holds a B.A. degree from Cornell University, a M.A degree from University of Illinois and a M.F.A degree from University of New Mexico. He is a professor and the Chair of Humanities at Medialle College. He currently resides in Buffalo, NY. Lavatelli is also on the Visual Arts Committee at Hallwalls Contemporary Art Center in Buffalo.